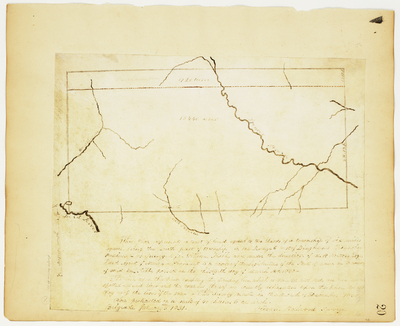 Page 00. 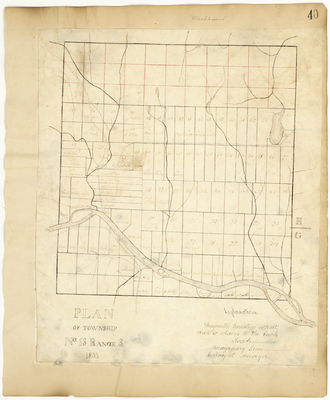 Plan Book No. 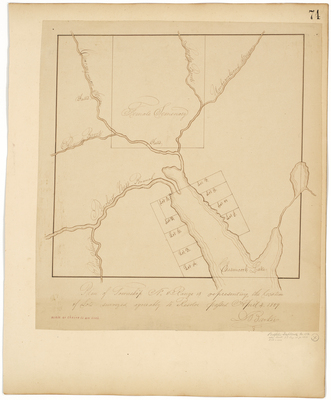 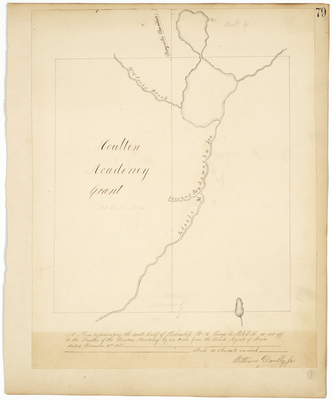 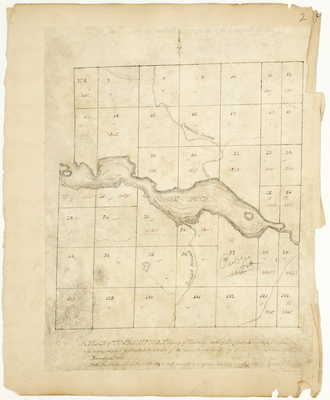 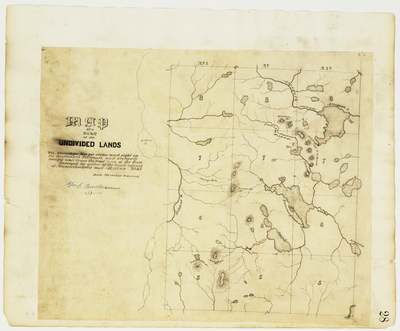 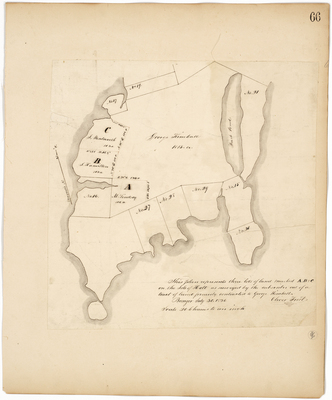 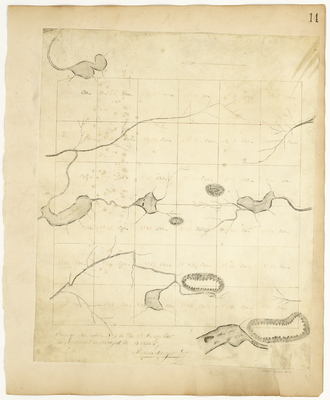 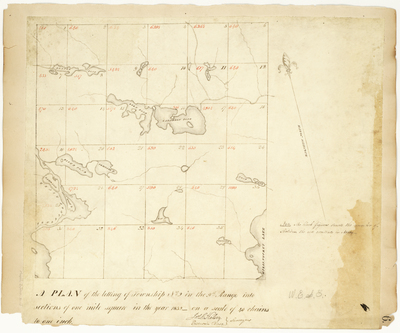 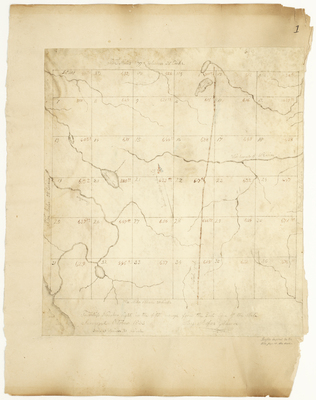 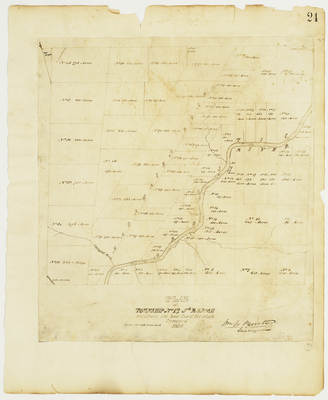 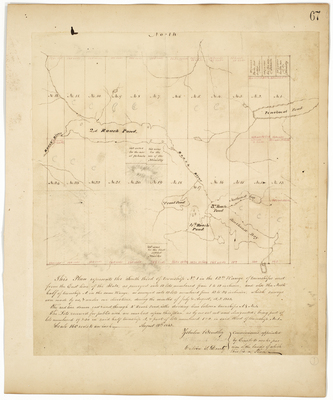 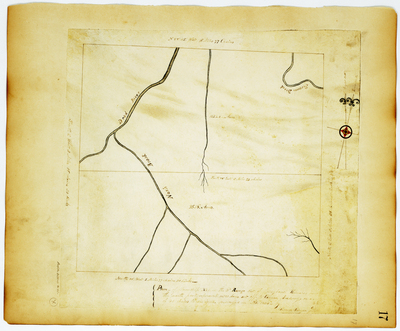 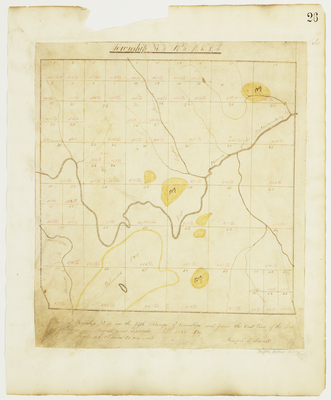 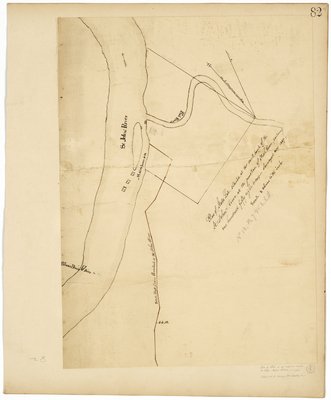 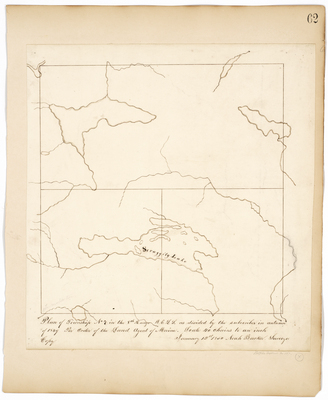 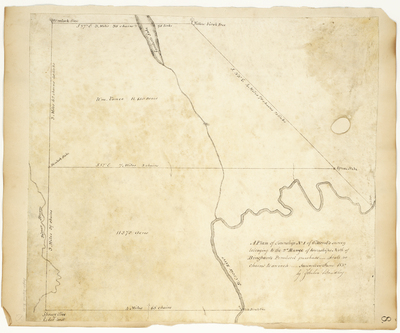 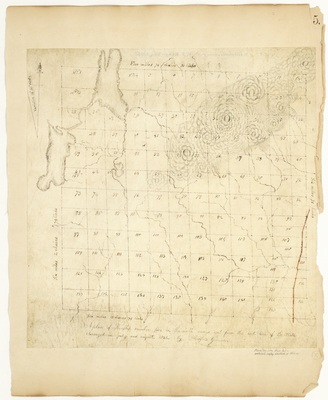 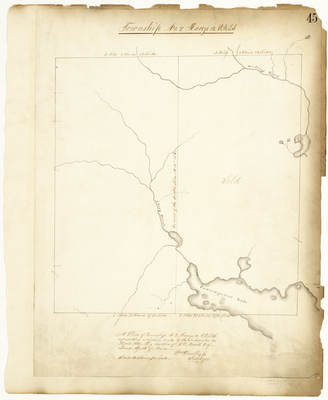 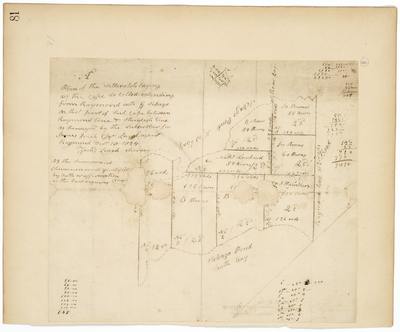 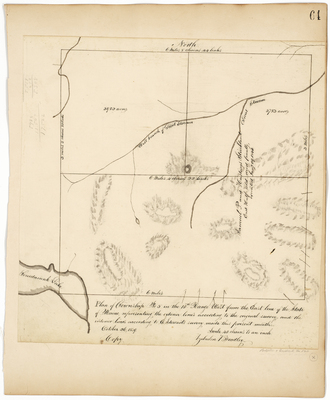 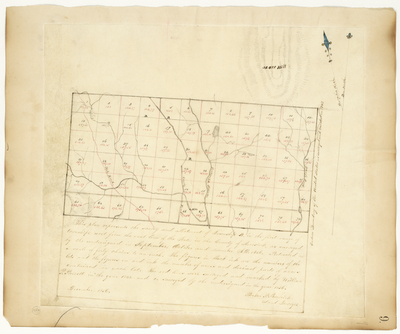 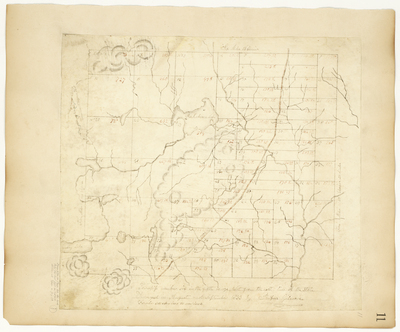 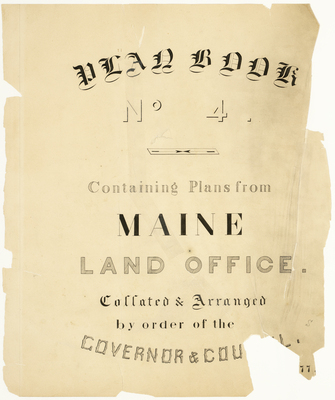 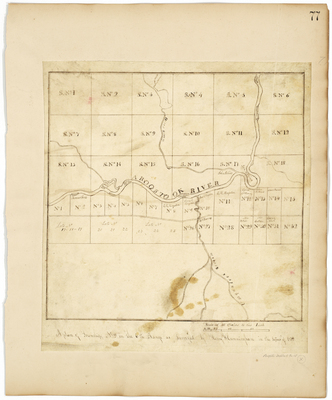 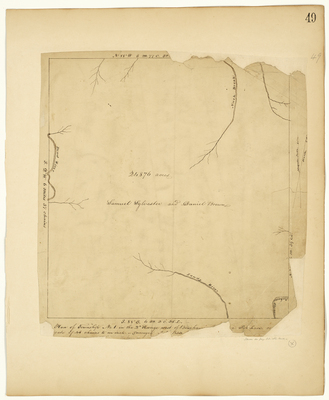 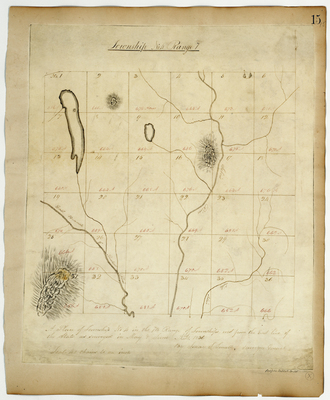 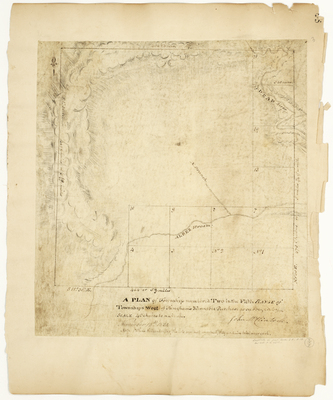 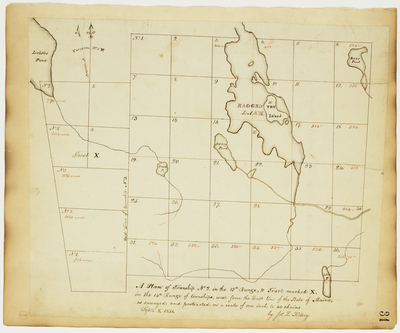 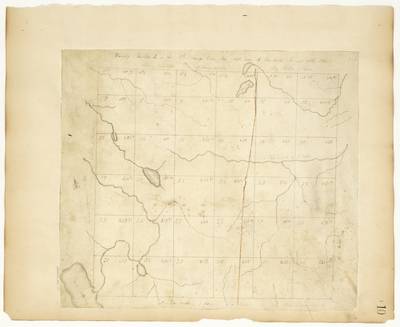 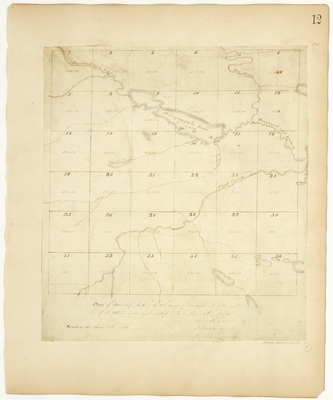 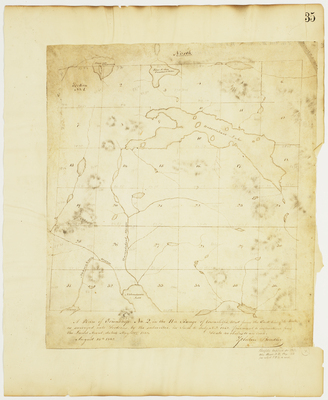 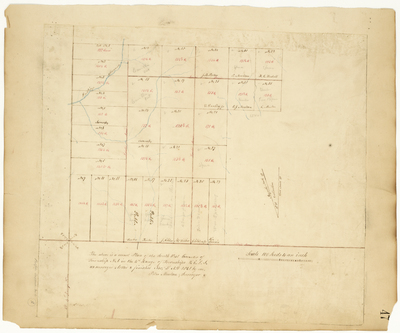 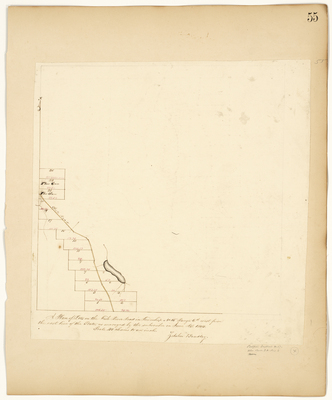 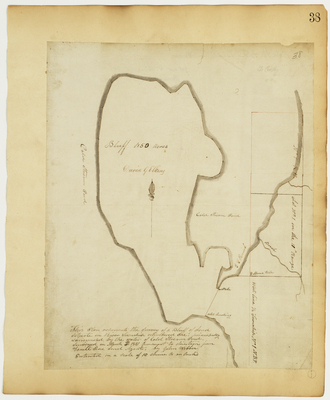 4 Containing Plans from Maine Land Office, Collated and Arranged by order of the Governor and Council. 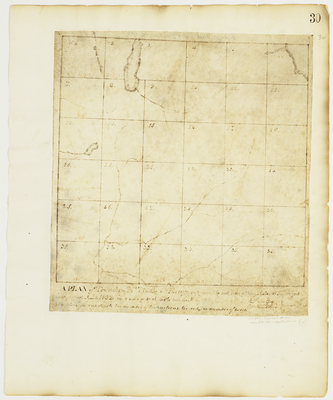 Page 05. 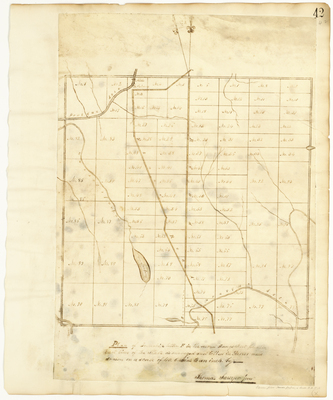 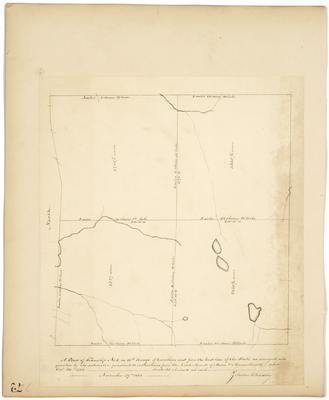 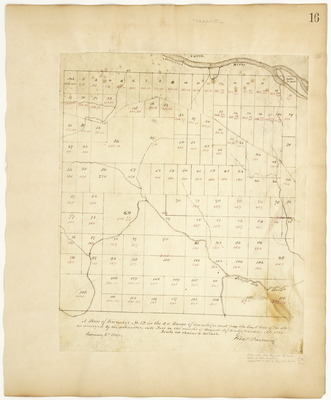 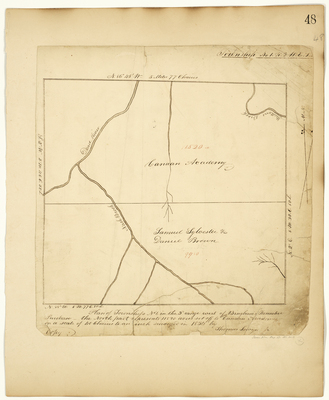 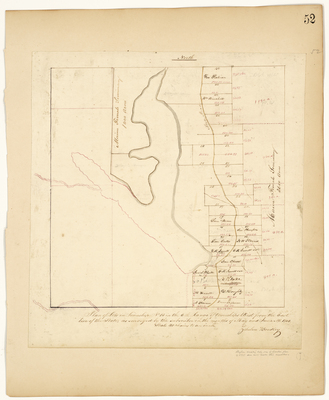 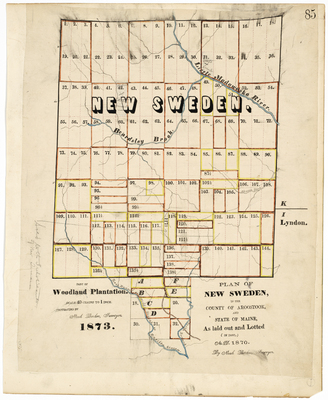 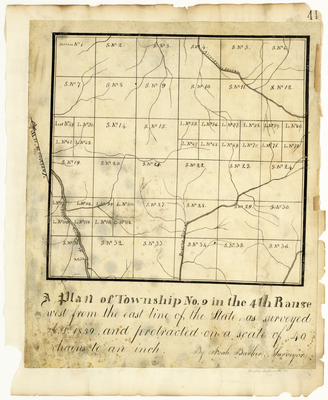 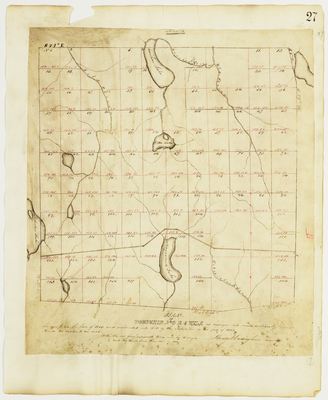 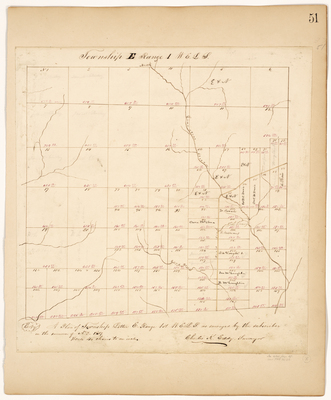 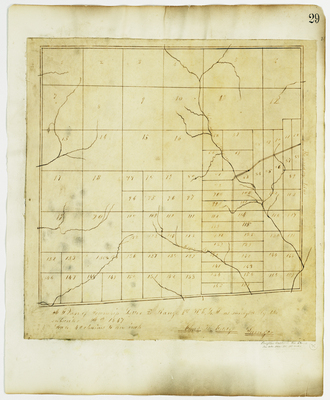 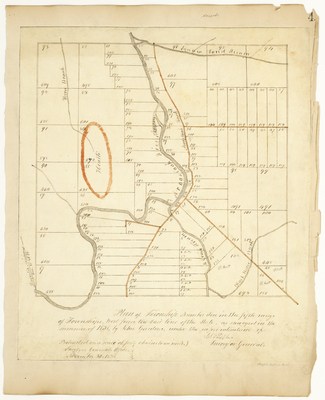 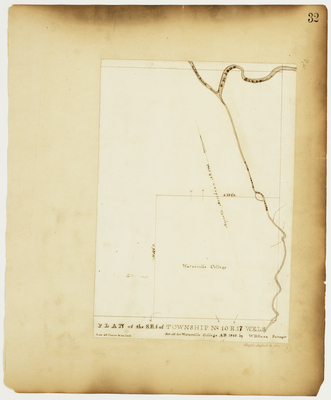 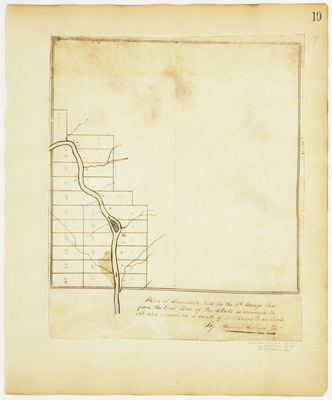 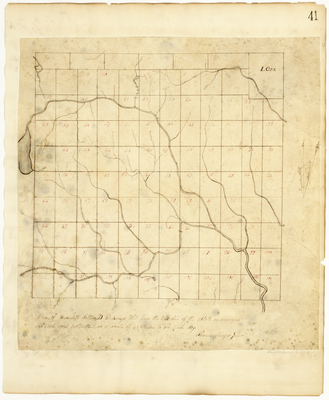 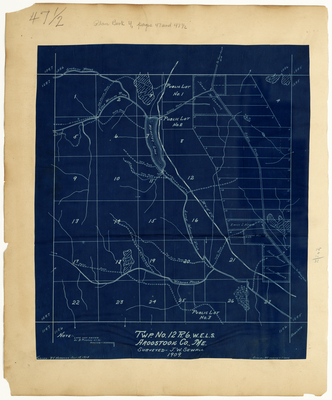 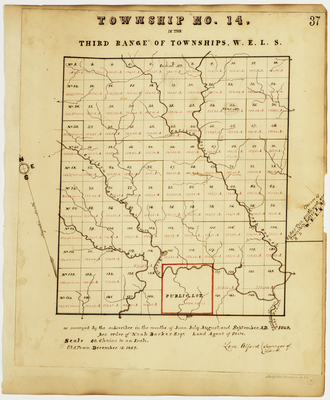 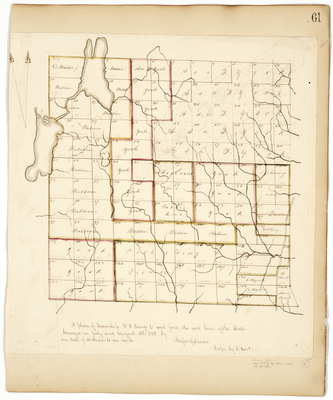 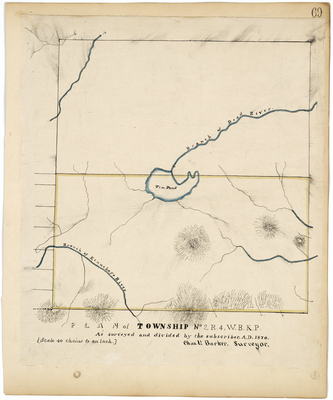 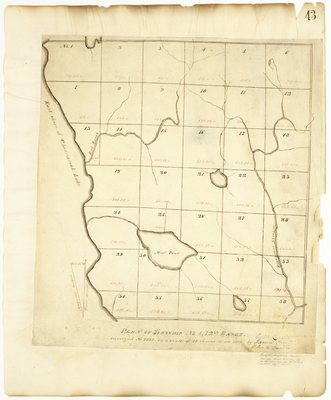 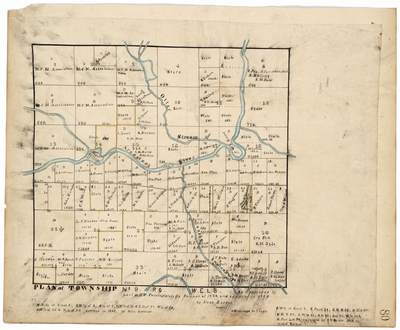 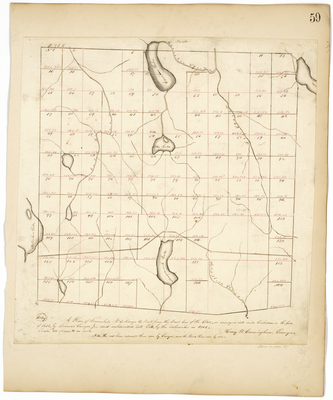 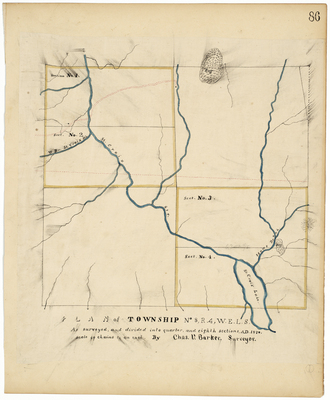 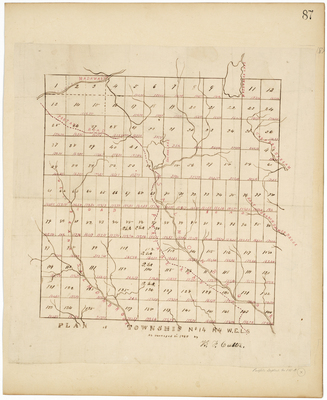 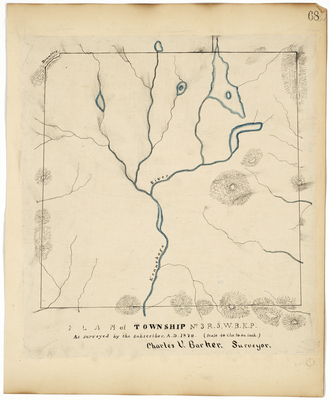 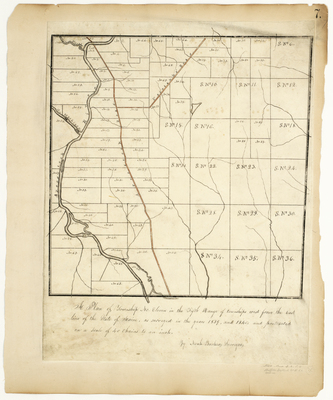 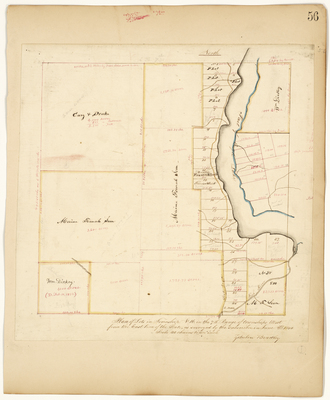 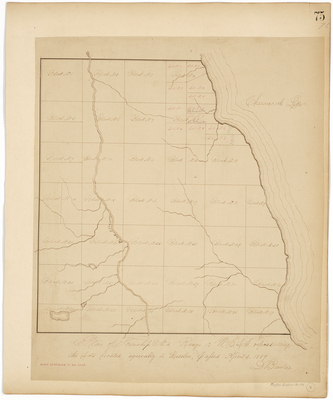 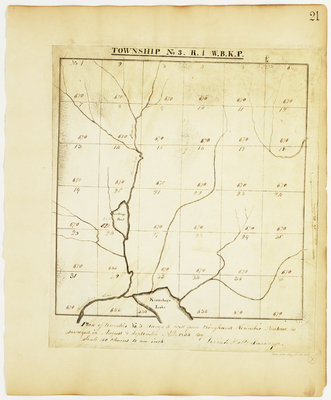 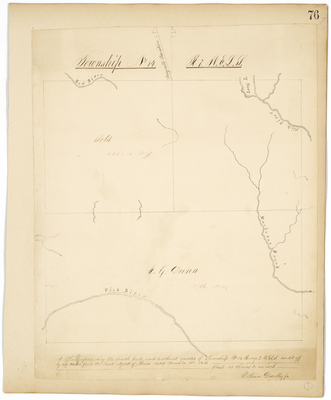 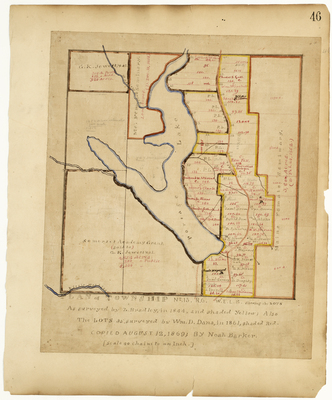 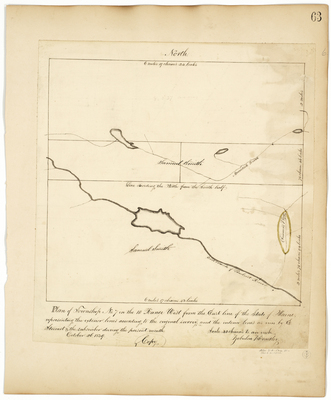 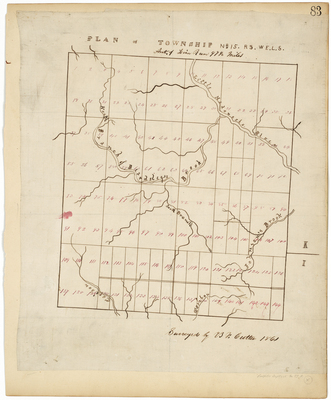 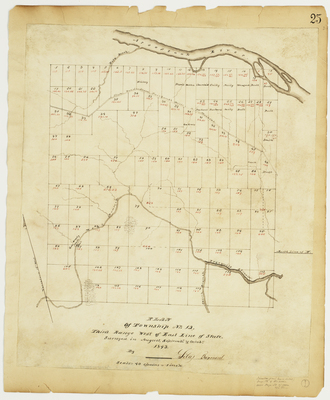 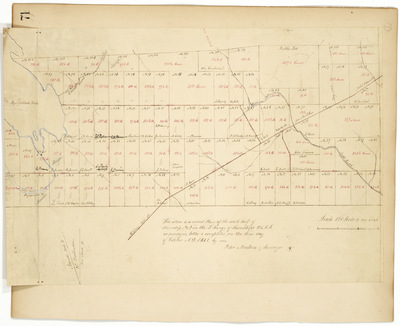 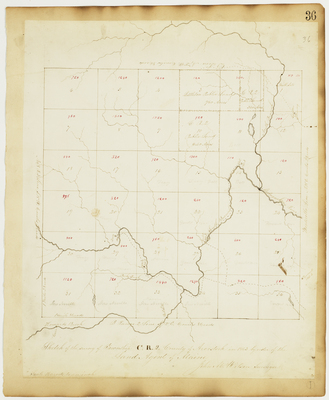 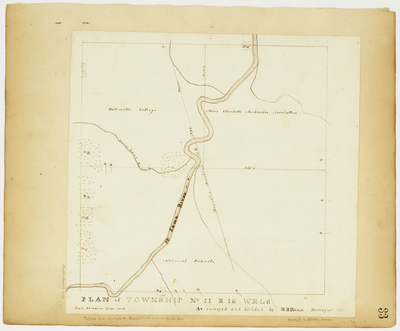 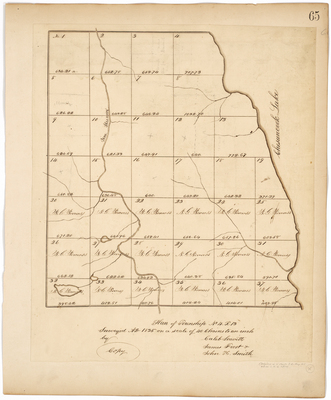 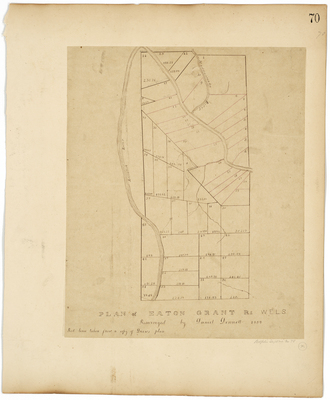 A Plan of Township Number Five in the Sixth Range West from the East Line of the State. 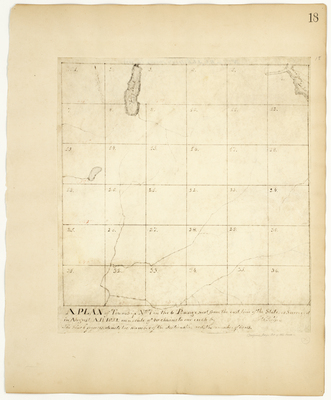 Page 06. 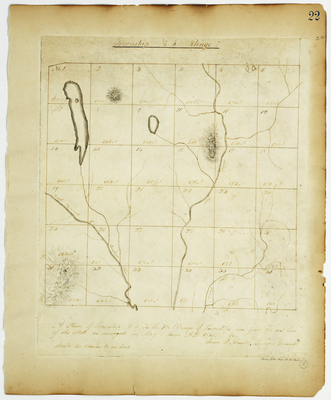 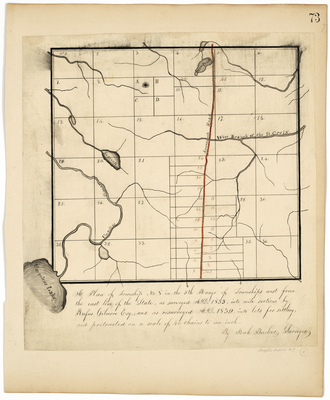 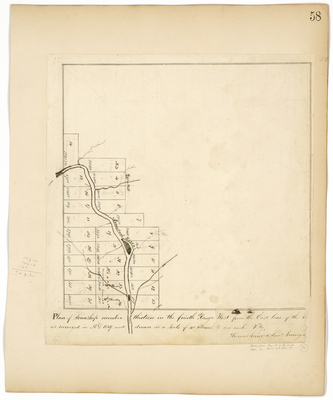 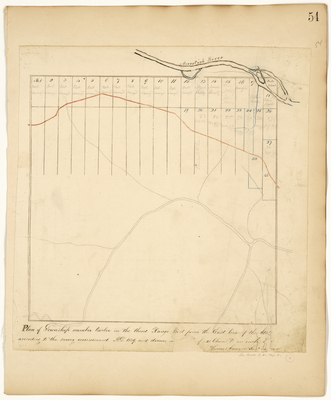 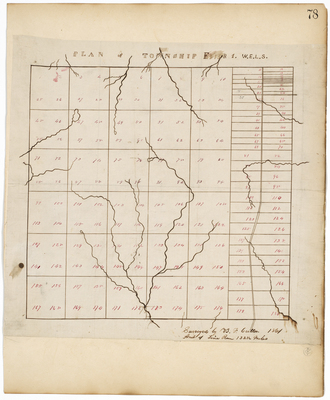 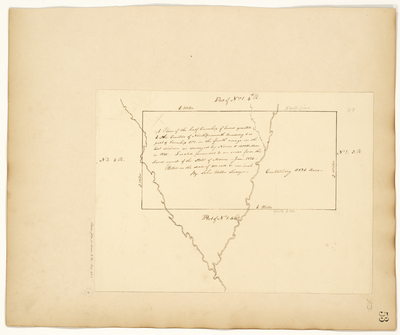 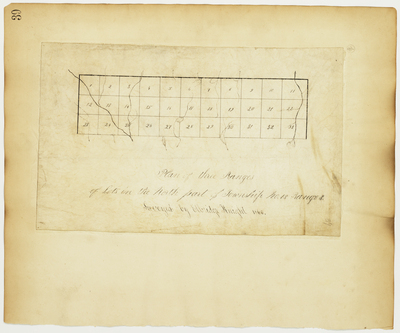 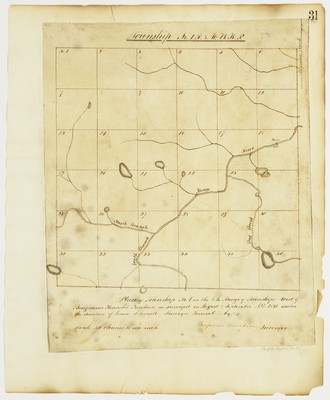 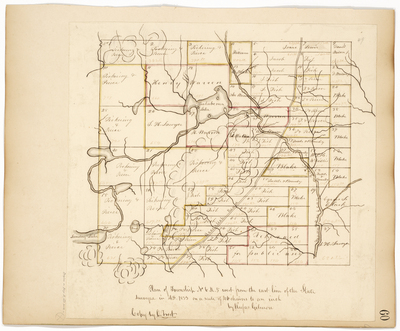 A Plan for the lotting of Township 2 in the 9th Range into sections of one mile square in the year 1832 on a scale of 40 chains to one inch. 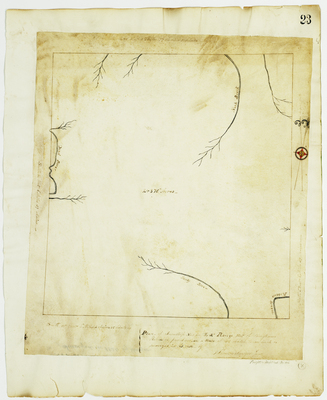 Page 07. 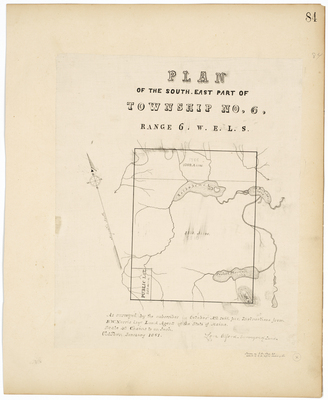 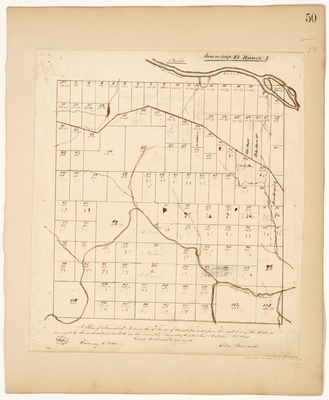 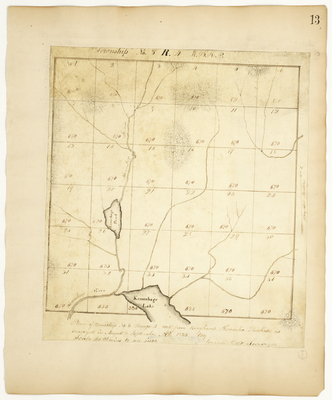 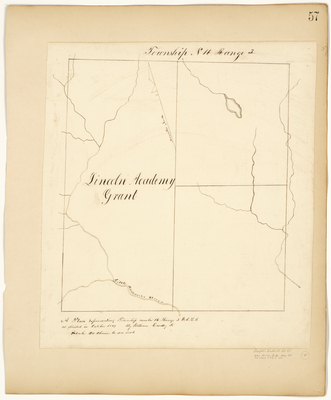 A Plan of Township Number 11 in the Fifth Range of townships west from the east line of the State of Maine.